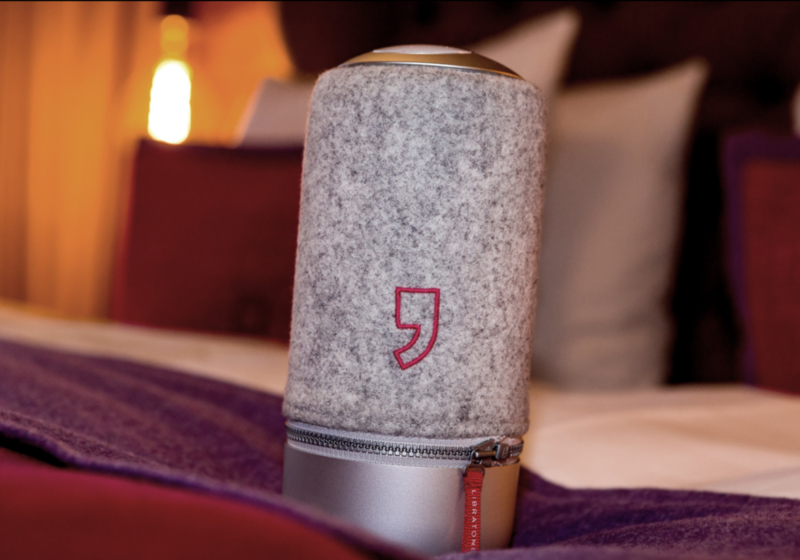 Libratone - this is the name of a Scandinavian trend brand - the slim and elegant speaker with the chirping nightingale on it. And guess what happens, when one trend brand meets another lifestyle brand and they like each other? Yes, they connect and create a new lifestyle product together. In our case, these are the eva, Libratones. 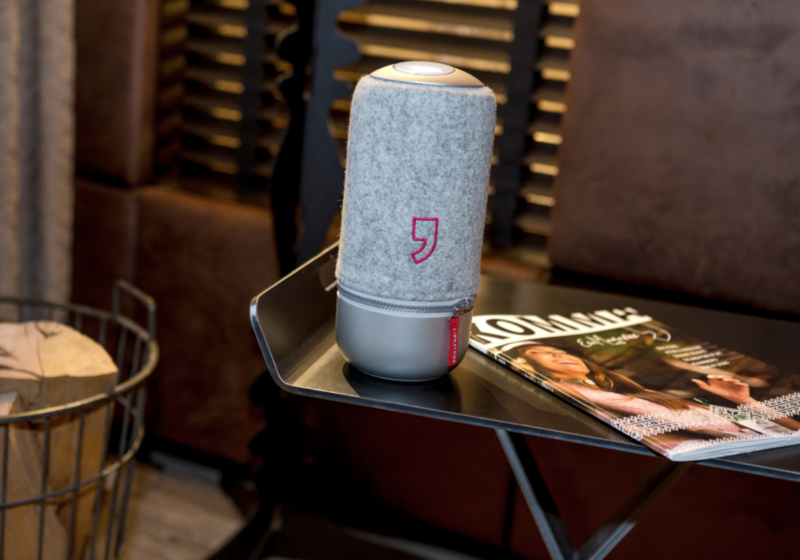 A stiched comma in pink shines brightly on the grey covers of the Libratone Zipp Mini, which are now setting the eva, sounds in our rooms and suites. Our guests love them - and so do we! 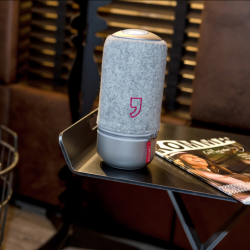 The usage is very simple via bluethooth, wifi connection or airplay - just switch it on, connect and enjoy your favourite music in your hotel room. 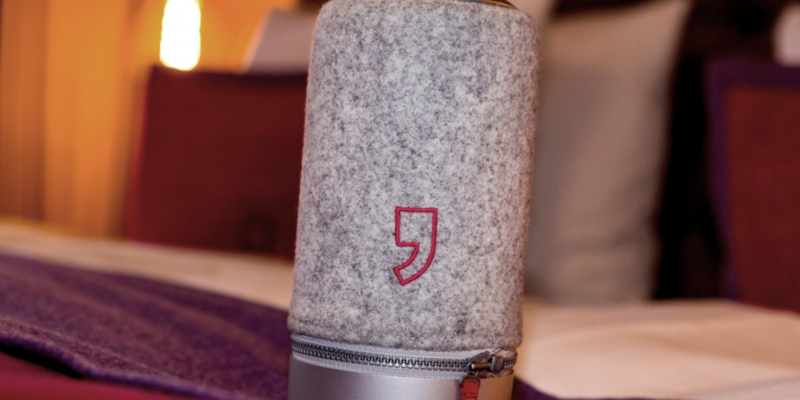 The eva, Libratones are so popular that we have decided to integrate them in our eva, shop - so you can even buy them and take them home with you - with a comma, of course. 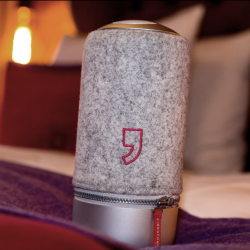 Enjoy a magical sound experience for your ears. We are so happy together with our new cooperation partner about this great produkt and the fantastic feedback of our guests and customers.